When you have pockets of fat — including at your belly or under your chin — that just won’t go away with conventional weight-loss methods, consider innovative CoolSculpting® treatments. At Unique Dermatology & Wellness Center, Dyan Harvey-Dent, DO, provides this FDA-cleared fat-freezing procedure to people who live in and around Valrico, Florida. Call the office or book an appointment online receive a personalized consultation with Dr. Harvey-Dent. CoolSculpting uses cold laser technology, or cryolipolysis, to literally freeze away unwanted fat. During your visit, a cooling device is placed on the desired areas of treatment. The cooling technology destroys fat cells that are then eliminated from your body using your natural waste removal systems. The procedure is noninvasive, so you need no incisions or injections. You can return to regular activity immediately after treatment. Dr. Harvey-Dent performs all CoolSculpting procedures. Dr. Harvey-Dent discusses your aesthetic goals with you and helps you achieve a body that looks fantastic from every angle. How can CoolSculpting help with lax skin tissue? If you have lax skin contributing to a double chin, CoolSculpting is effective in creating more tautness. 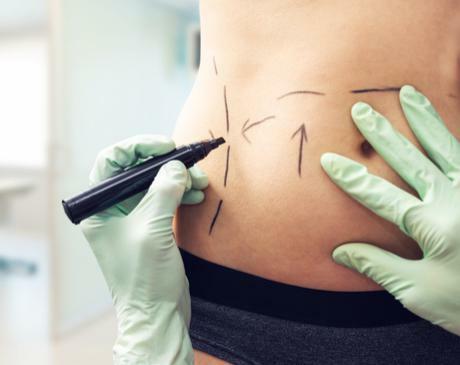 The FDA has cleared CoolSculpting to improve the appearance of lax tissue, especially when used in conjunction with treatments for submental fat. Dr. Harvey-Dent develops a customized treatment plan for you using the latest CoolSculpting technology and applicators. Many people are satisfied with their results following one treatment session. But, you may also opt for a series to achieve all the results you want. Dr. Harvey-Dent can help you understand your treatment plan during a consultation. Will I gain the fat back after CoolSculpting treatments? CoolSculpting permanently destroys fat cells. These cells cannot replump or regenerate. However, other fat cells that remain can plump up if you overeat or stop exercising. If you do gain weight, the fat accumulates all over your body, however, and not just at the treatment sites. Follow a healthy diet and physical activity schedule to best maintain your results. When will I see results from CoolSculpting sessions? CoolSculpting results begin to appear about three weeks following treatment. You’ll notice optimal results after two months when your body has had the time to eliminate all the destroyed fat cells. The fat-flushing process continues for about six months following treatment. To schedule your CoolSculpting consultation, call the office or book an appointment using the online tool.